Fruitless Pursuits: FPcast! The Fruitless Pursuits Podcast for April 7th 2014! Winter Soldier Review/Pop Culture Smells! FPcast! The Fruitless Pursuits Podcast for April 7th 2014! 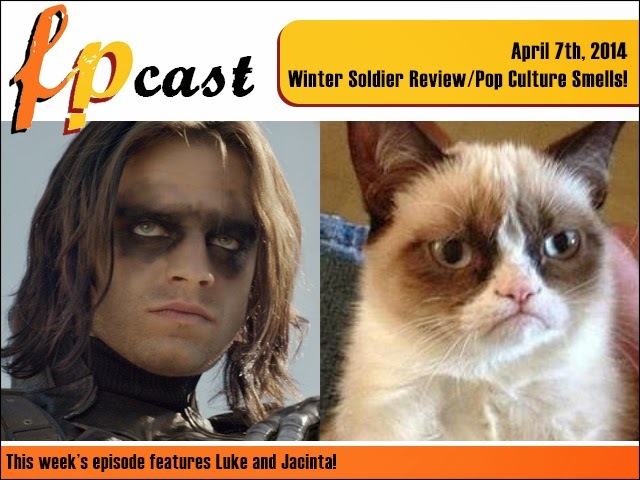 Winter Soldier Review/Pop Culture Smells! In this week's wonderfully ridiculous podcast we discuss pop culture smells! What do you favourite pop culture locations and characters actually smell like? What smells better - the Millenium Falcon or the Enterprise? Harry and Ron's dorm or Tommy Wiseau's Room? We also give you our SPOILER-filled review of Captain America 2: the Winter Soldier! And there's even more than that probably. Get this into your earholes immediately!